Prophetic Healing and Deliverance Leader has opened up for the first time about her arrest over the Aguma herbal Immune booster which he claims can cure HIV and Cancer. "I was arrested after I had given an apology at a conference which I held with the Minister of Health. I was arrested when I was going down the Ministry building. I saw a lot of riot police. After talking to them they responded well and we went to the police. I did not tell anyone including my wife.I also asked the police not to mention it because I did not want any of my children to know. After being asked questions I was released at midnight. "They told me that the arrest was because of the Sunday announcement that I did without a licence. The good news is that I have met the government and they have agreed to test Aguma. This is the first time that the PHD Leader has come out in the open in the about his arrest. 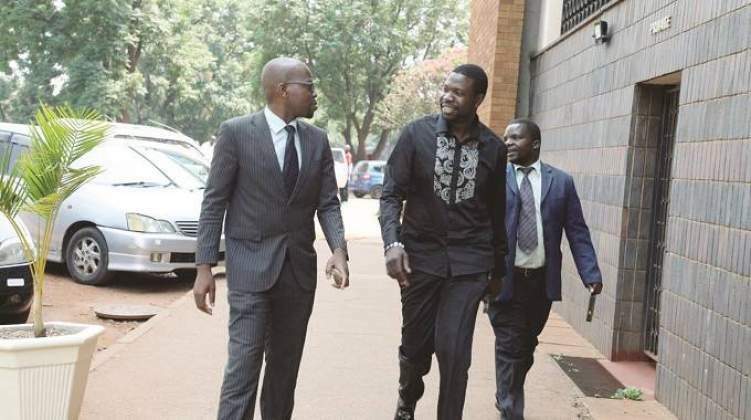 Magaya is embroiled in a messy court case after being accused of unlawful distributing immune boosters which he tried to crush and flush when police were investigating him. "Circumstances are that on 31 October 2018, the accused known as a prophet the Prophetic Healing and Healing Deliverance Ministries (PHD) made an advertisement on Yadah Television of Aguma Medicine which he claimed to be a cure for HIV/AIDS, cancer and other ailments. "He further made claims that Aretha Medical and himself were the manufacturers of the Aguma medicine which he claimed can cure the abovementioned diseases. "Verifications were made through the Medicines Control Authority of Zimbabwe and it was established that Aguma is not a registered medicine or drug in Zimbabwe. It was also established that neither Magaya nor Aretha Medical Company were authorised by the Health Professions Authority to carry out clinical tests on nay human being to prove that Aguma can cure the aforementioned diseases thereby the accused committed an offence." The charge sheet further reveals that on 31 October, a search was conducted at Magaya's Marlborough premises where unregistered prescription medicines, drug manufacturing, packaging machines and drug manufacturing raw materials were recovered. "Just before the search, the accused persons destroyed some of the exhibits by flashing them in the office toilets and burning containers which were however, recovered half-burnt. Several Aguma sachets and other torn sachets were also recovered in an office bin next to the office call centre, the charge sheet further states."